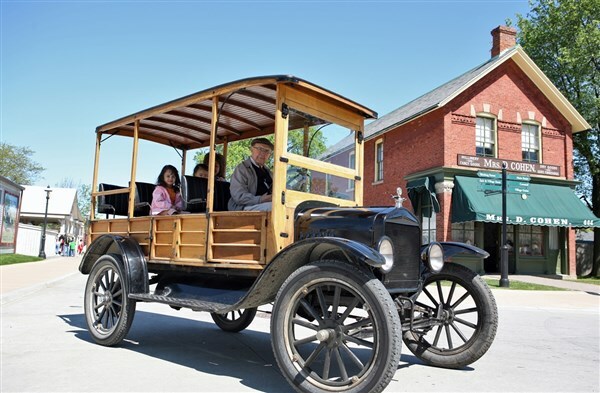 Mackinac Island - step back in time to a place where transportation is limited to horse and buggy, bicycle or foot. Surrounded on all sides by water, it has managed to escape the changes of time. Its authentic Victorian setting is preserved and enhanced by a small population of 500 permanent residents and scores of summer residents. 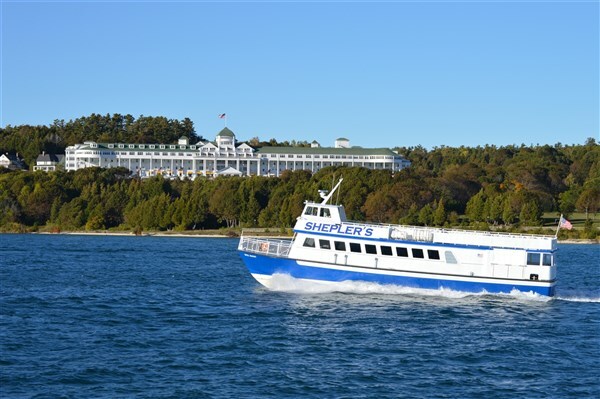 Tourists love to explore the historic, natural beauty of Mackinac Island State Park, honored by National Geographic as one of the ten finest in America. As we travel to our final destination, our first night will be at the Hampton Inn, Westlake, Ohio. 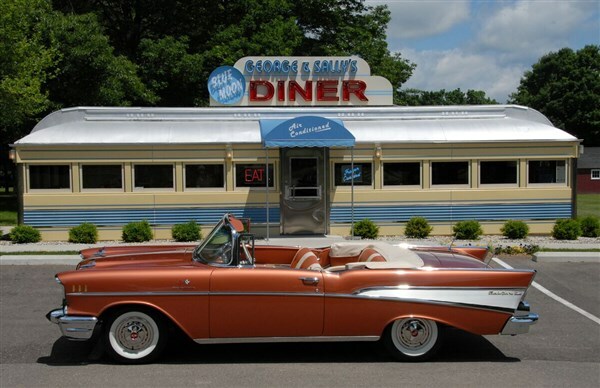 On our second day of travel we will make our way to the Gilmore Car Museum. 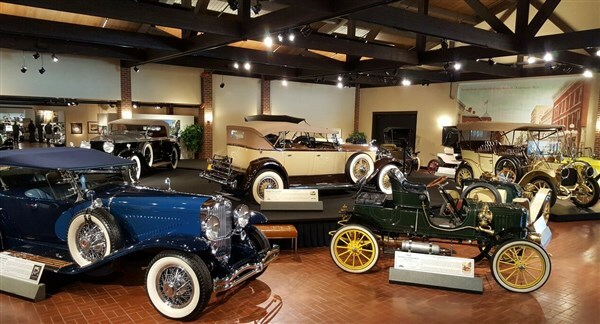 This museum is rated one of the top ten in the nation with more than 140 restored antique automobiles on display, tracing the significant technical developments in automotive transportation. Vehicles range in age from an 1899 Locomobile to the classic Duesenberg or the elusive Tucker '48, and from the Model T to the muscle cars of the 60s and 70s. Our lodging and dinner this evening will be at the Holiday Inn in Spring Lake, MI. A busy day is in store today as we travel along Michigan's beautiful western shore. 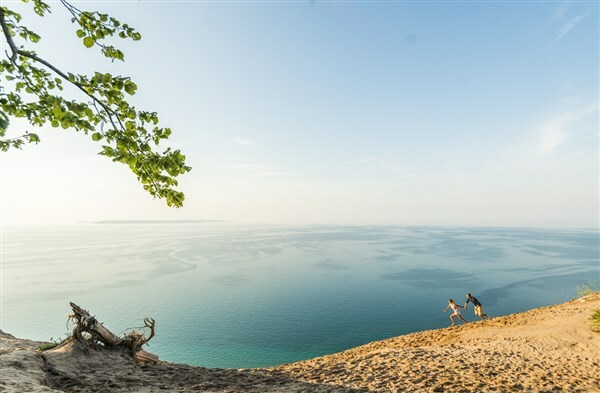 At Silver Lake in Mears, Michigan, we will enjoy a scenic experience as we take a dune buggy ride across the Sahara-like dunes created by the Ice Age that formed the Great Lakes. 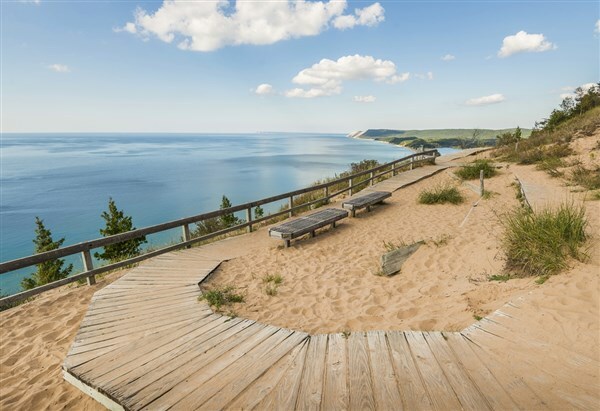 Next, we will ride along Pierce Stocking Scenic Drive in Sleeping Bear Dune National Lakeshore with spectacular overlooks of Lake Michigan and the Sleeping Bear Dunes, before continuing to our lodging in Traverse City, Michigan. The highlight of our entire tour is in store today as we visit beautiful Mackinac Island. Our visit will begin with a tour of this interesting island. Automobiles are not permitted; therefore, our sightseeing will be by horse drawn carriages. Many ravines, natural bridges, and strange rock formations will be seen. We will also visit Old Fort Mackinac, sitting high on a bluff above the harbor, and dating from 1780. Following our tour, we will check-in to our lodging for the night at the luxurious Grand Hotel. Constructed in 1887 of Michigan White Pine in Greek Revival style, our accomodations at the Grand will be nothing short of spectacular. No two rooms of the hotel's 286 are the same, and each is decorated and furnished uniquely with treasured antiques. Informal wear is permitted during the day, however, after 6:00 PM ladies dress in dresses or nice pant suits, and the attire for men includes jacket and tie. Dinner will be included at the hotel this evening. After a breakfast buffet at the Grand, the remainder of the day is free to enjoy the sweeping view of the Straits from the porch of the hotel, stroll the shops of Market Street or walk some of the island's endless nature trails. A fabulous lunch buffet will be enjoyed at the hotel before we take the ferry back to the mainland. Tonight we will be checking-in to our lodging at the Best Western Harbour Pointe in St. Ignance, Michigan. Dinner is included at the hotel tonight. Before departing this interesting area we will visit another attraction of historical significance to the region, Fort Michilimackinac. Constructed in 1715 by French soldiers and fur traders, this tiny walled community served as an important commercial depot and strategic military post for more than sixty years. This afternoon we will arrive in the charming village of Frankenmuth Michigan where we'll have free time to explore on your own before checking-in to the Bavarian Inn Lodge. Our destination today is Dearborn, Michigan where you will visit historic Greenfield Village, a 200-acre collective historical site with many homes and shops moved here from all over the country. Included is an all-day ride pass that allows you to hop onboard the steam train, travel in a horse-drawn Omnibus, ride the carousel or take a ride in a Model T. Also, visit the Henry Ford Museum which contains a multitude of artifacts, inventions and mementos of American society, as well as an excellent exhibit on "The Automobile in American Life." Our lodging this evening will be at the Hampton Inn, Westlake, Ohio. Our arrival home on our final day of travel is scheduled for late afternoon.